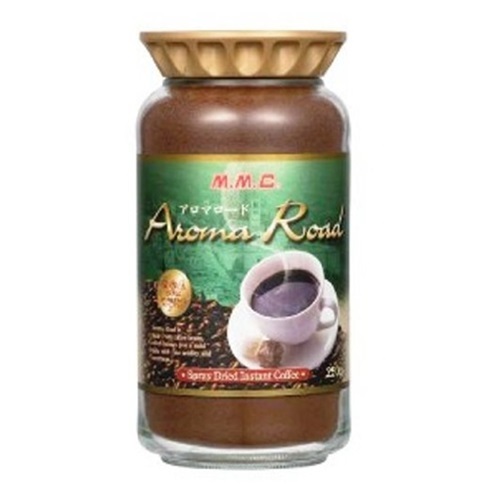 Aroma Road used to be produced with Brazilian materials, but it is instant coffee materials made from Indonesian coffee beans produced by spray dry method in Japan now. It made its flavor and quality stable. Comparing with the former one, it’s less sour, more aromatic and has stronger taste. Even if you add some milk, it still has a great taste of coffee itself. Its flavor and quality is stable because of the spray dry method done in Japan. It’s easier to dissolve in ice water and milk than freeze-dried coffee.